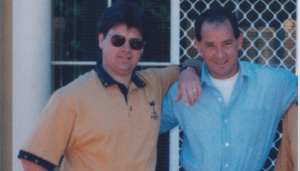 Alan Whiticker and Stuart Mullins have known each other since they were seventeen.They both attended the same teachers college at Penrith at the close of the 1970’s .Nepean College of Advanced Education now the University of Western Sydney .They became qualified teachers. In the 1990s Mullins & Whiticker could not be accused of being fashionable. However , both left the profession after several years . Stuart becoming a high end corporate then hospitality executive recruiter in Tokyo Japan then Australia. 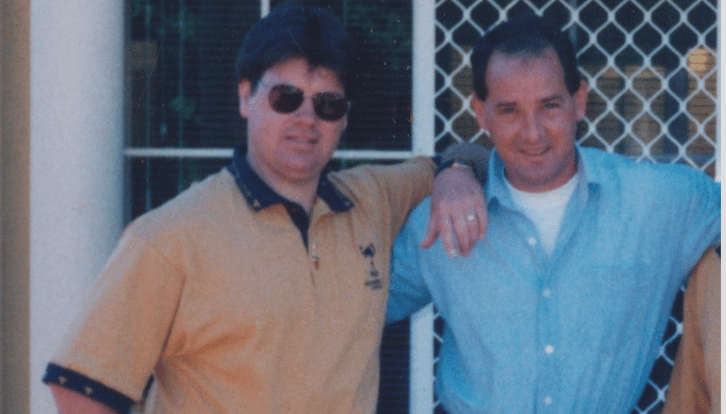 Starting his own recruitment company in the early 1990s in Sydney .Alan left teaching to become a very successful author / writer with over fifty publications to his name and still going strong . Why they teamed up ? Mullins was born in Glenelg in the late 1950s . 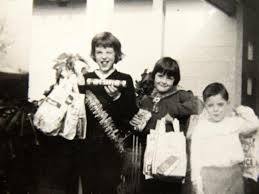 He grew up in Seacombe Gardens which is not more than a few suburbs south from where the Beaumont children lived at Somerton Park. 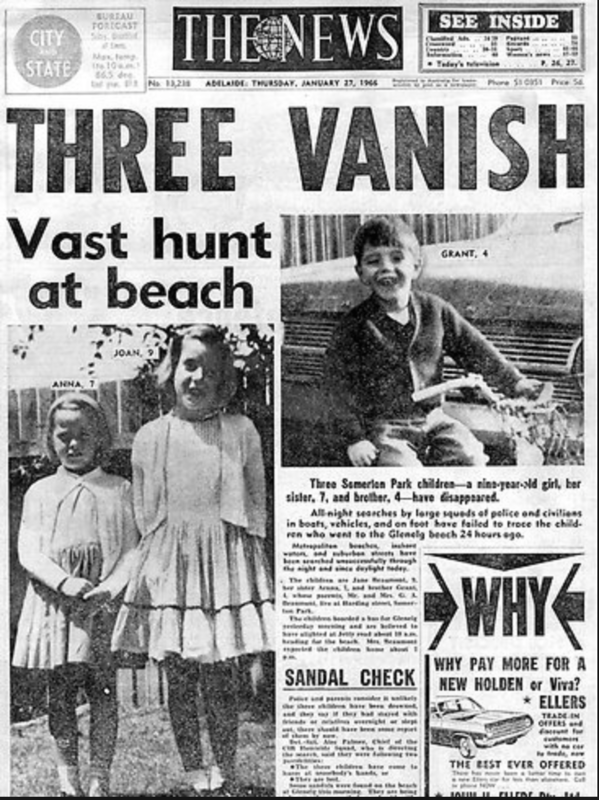 Where the Worthley’s bus Jane , Aarna and Grant caught that day to the beach originated from his suburb. Mullins also with his friends frequented the beach side suburbs of Seacliffe, Brighton and Glenelg in the 1960’s. AND Mullins cousin Mostyn Matters was the Glenelg Detective in January 1966 that initially spoke to Mr Beaumont regarding his missing children. Further more Mostyn’s wife Dianna’s auntie Beth served Jane Beaumont that day at Wenzel’s bakery. 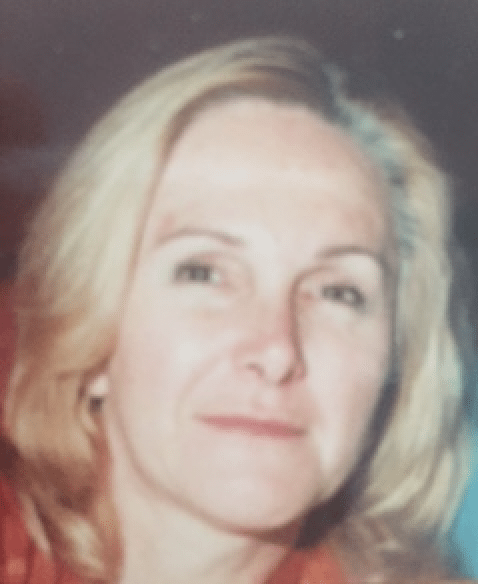 Whiticker was also born in the late 1950s and grew up in the 1960s in Penrith 40 kms west of Sydney . Penrith is located at the base of the Blue Mountains. A place that is also close to Alans heart. Alan with his brothers and sisters and his friends would go swimming and jumping off the wier ( not that his parents knew ) in the picturesque Nepean River or adventuring the foot hills and beyond of the blue mountains.The numerous streams, rock pools and dirt tracks……..adventure in the 1960s beckoned.In the holidays he and his friends like Mullins were up at dawn to venture out for the day with the only proviso : Be back before the street lights come on . 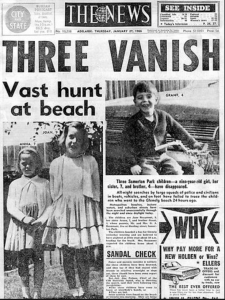 But for Jane, Arnna and Grant they were never to return from their adventure to Glenelg beach that January day in 1966. Are you sitting down? You will not believe this. 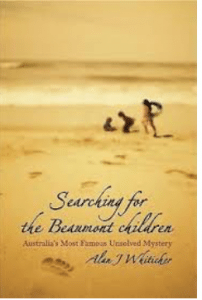 The book Searching for the Beaumont Children published 2006 John Wiley and Sons Australia Ltd sold very well indeed in fact a best seller for Whiticker and inspired many a person to call Alan . A large number of them crackpots with conspiracy theories but one phone call in particular was different . This caller passed information onto Whiticker which had him intently listening as it started to ring some loud bells. Whiticker promptly called Mullins . 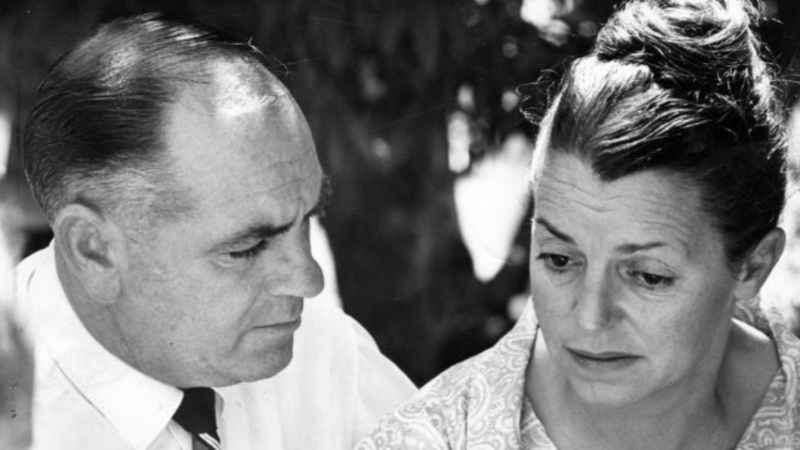 The Information that Whiticker relayed to Mullins sent a shiver down their collective spines. The caller? Angela Phipps Fyfe. 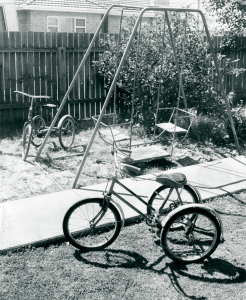 The wolf in the disappearance of the Beaumont children has never been too far from the door. These children never left Glenelg. Page put together by Stuart Mullins .